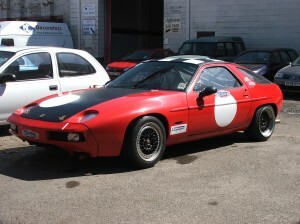 This 928 should have been the 2010 Race car for Mark Hammersley of AA Silencers. 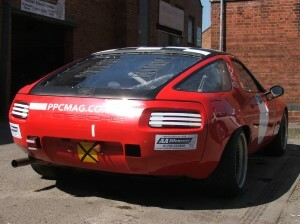 The car belongs to Kev Leaper of Practical Performance Car magazine and driving honours where to be shared out over the 40 minute races in CSCC Future Classics. 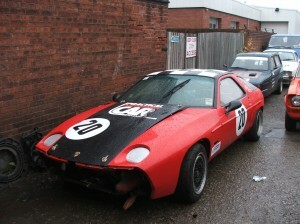 Unfortuantely on it’s first outing at Brands Hatch the engine failed. On inspection it is suspected the failure was due to low oil pressure, a common problem on 928’s. As a result the engine needs a rebuild along with a full dry sump kit added to solve our future oil pressure. The engine will probably be converted from mechanical to electronic fuel injection while we’re at it.